Bed Bugs: Prevention Strategies that are easy as A-B-C! When it comes to bed bugs, prevention is worth TONS of cure. These powerful strategies are as easy to remember as A-B-C. Plus, there's a super bonus tip at the end! Avoid buggy places and situations. Be vigilant about your surroundings and your stuff. 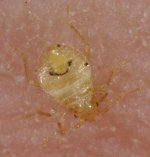 Control your home environment to make "unfriendly" to bed bugs. 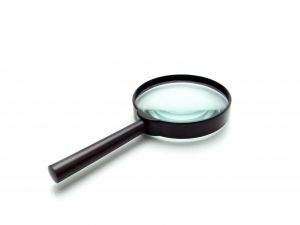 If you are planning to move or to travel, use the bed bug registry to check whether the place you're planning to stay or move into has had any recent bed bug infestations reported. You can also do great bed bug recon on hotels at tripadvisor.com. Here's another key to avoiding hotel bed bugs...prevent them from making contact with your suitcase and other belongings while your do your inspection by putting everything in the bathtub when you first walk in. That's the least likely place in a hotel room for bed bugs to be! 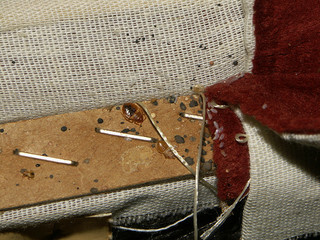 Note: If you see bed bugs in the bathroom - that room is a hot mess of bed bug infestation! In that case, don't touch anything and high tail it (with all your stuff) to the front desk immediately. Be aware of where your purse, coat, laptop bag etc. are when you are in public places. Don't leave anything on the floor or hanging where it drags on the floor. Bed bugs can't hop or fly, but they can crawl pretty fast so the floor is the easiest place for them to spread in public places. Avoid upholstered surfaces if at all possible because they are favorite hiding places for bed bugs. Prevention means being aware of your surroundings and making the smartest choices you can under the circumstances. Also be vigilant about what and how things come into your home. Wash and dry clothing, bedding and other washable items when your first bring them home - whether it be from the store or a trip. Heat above 120 degrees (easily accomplished in your dryer) kills bed bugs in all stages of their life cycle – including eggs. Carefully inspect furniture and other non-washable items when you first bring them into your home. Don't assume that because something is new, it can't have bed bugs. That's just not the case – especially if it made its way there in delivery truck. Moving and delivery trucks can be like Grand Central Station for bed bugs! You've avoided buggy places and been vigilant about your belongings and what comes into your home... Great job! You've taken a strong offensive stand. But what if you are still exposed bed bugs? Prevention goes on the defensive when it comes to your home. The goal here? Make your home a difficult, unfriendly environment for bed bugs to infest. The single best thing you can do is cover your mattresses box springs and pillows in high quality, bed bug-tested encasements. Why? If you don't have bed bugs, they will prevent these items from getting infested if you accidentally bring one of those little suckers home. And if there already were bed bugs in these items and you didn't know it, they will be trapped inside the encasement permanently so they can't bug you! Finally, keep your home as clutter free as possible. It is a myth that they are attracted to dirt or clutter, but clutter makes very convenient hiding places for bed bugs. Prevent them from making a comfy new home for themselves by keeping your living area...especially the floor...as clutter-free as possible. In the end, no matter how much we try to avoid bed bug prone situations...no matter how committed we are to being vigilant about our surroundings and our stuff...and no matter how carefully we control our home environments to resist any persistent bed bugs, prevention is just that – prevention. So the final key to preventing bed bugs from infesting your home is to detect the situation in the earliest stage possible to make getting rid of them as quick and easy as possible. Familiarize yourself with all 9 signs of bed bug infestation so you will know what to look for. Check your bed for symptoms of bedbug infestation every time you change your sheets. If you have encased your mattress box springs and pillows, this will be a piece of cake! The smooth surface gives them nowhere to hide and makes spotting the other signs bed bugs leave behind a snap. If you didn't go the encasement route, inspection will be more time consuming and a heck of a lot harder. Plus if you do find them and your mattress wasn't encased, it very likely that they've have been around for a while and made themselves quite at home...which will make getting rid of them all the more difficult. Learn more about bed bug detection here.